Lee Friedlander is one of the most important of the 1960s generation of photographers for whom the posture of distinterested objectivity served as a vehicle for passionate personal inquiries. 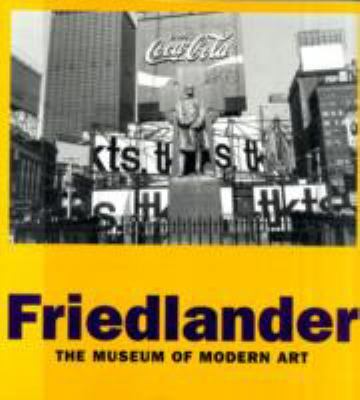 This book takes a deep critical look at his abundantly productive career.Galassi, Peter is the author of 'Friedlander ', published 2005 under ISBN 9780870703447 and ISBN 0870703447. Loading marketplace prices 3 copies from $82.11 How does the rental process work?